You may be wondering what cats have to do with employment law. Well, last week the U.S. Supreme Court recognized the “cat’s paw” theory of employment discrimination for the first time, making it easier for employees to prove discrimination and for employers to get burned by legal liability. 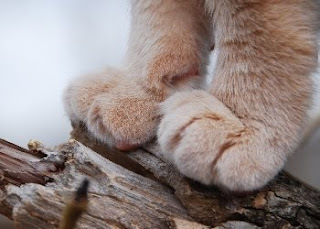 The phrase “cat’s paw” stems from an Aesop fable in which a monkey uses flattery to induce a cat to retrieve roasting chestnuts from a hot fire and then absconds with the chestnuts after the cat has burned its paws. Based on the fable, “cat’s paw” refers to a person who is unwittingly used to accomplish another’s purposes. In Staub v. Proctor Hospital, No. 09-400 (March 1, 2011), the Supreme Court held, under the cat’s paw theory, that an employer can be liable for intentional discrimination even when the ultimate decision-maker acted without discriminatory intent. An employer will still be liable if the decision-maker’s decision was influenced by the underlying bias of a supervisory level employee who intended to and did cause the adverse decision to occur. Staub involved a termination claim under the Uniformed Services Employment and Reemployment Rights Act (USERRA), which prohibits employment discrimination based on military status. While the executive who fired the plaintiff did not personally have a discriminatory motive, the plaintiff produced evidence that his termination was caused, at least in part, by the recommendation of two lower level supervisors who were hostile about his absences for military service. Under the “cat’s paw” theory, the Supreme Court held that the defendant had violated USERRA, because the lower-level supervisors acted with discriminatory bias, intended Staub to be fired, and did, in fact, cause his termination. Without providing much helpful guidance to employers, the Court noted that an employer’s independent investigation may be a defense to cat’s paw liability if it results in the adverse decision being completely justified separate and apart from any underlying discriminatory bias or conduct. Employers should maintain and enforce a comprehensive antidiscrimination policy that encourages and tells employees how to report discrimination. Complaints of discrimination should be promptly and thoroughly investigated, and, if an investigation reveals discrimination, the employer should work with counsel to appropriately address the situation and ensure that any discrimination does not influence future decisions. Employers should provide separate discrimination training to all supervisors on an ongoing basis to ensure they understand the scope of antidiscrimination laws and their unique obligation not to discriminate. Employers should take the time to engage in written, progressive discipline as performance problems arise. Accurate, timely documentation that is independently reviewed and verified before being issued can greatly assist employers in establishing that a decision is legitimate and nondiscriminatory. Employers should ensure that decision-makers do not blindly rely on and rubber-stamp the recommendations of others when making adverse decisions. Before acting, the decision-maker should investigate the facts, including the entire chain of events leading to the potential decision. The decision-maker should be confident that he or she is acting on complete and accurate information, that the adverse action is entirely justified, and that any adverse decision is not based on the discriminatory bias or conduct of any employee influencing the decision.